A key planning tool for this project is a public involvement program based upon the principles of Context Sensitive Solutions (CSS). 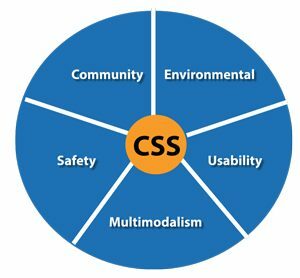 CSS is an interdisciplinary approach that seeks effective, multimodal transportation solutions by working with stakeholders to develop, build, and maintain cost-effective transportation facilities, which fit into and reflect the project’s surroundings (its “context”). Through early, frequent, and meaningful communication with stakeholders, and a flexible and creative approach to design, the resulting projects should improve safety and mobility for the traveling public, while seeking to preserve and enhance the scenic, economic, historic, and natural qualities of the settings through which they pass. For more information on IDOT’s Context Sensitive Solutions guidelines, please visit the IDOT website for CSS at: http://www.idot.illinois.gov/transportation-system/transportation-management/context-sensitive-solutions/index.